MOONS’ linear stepper motor actuators are designed based on the know-how technology of hybrid stepper motor with lead screw and nut. 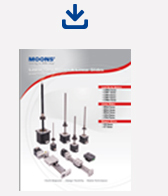 Provide high torque, high precision, and high efficiency to fit the application needs of designers. The combination of motor styles, sizes, lead-screws and nuts, gives the freedom to use linear stepper motors of different form factors to exactly fit in the application. 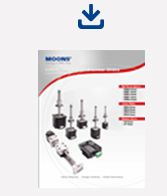 • Offer online configurator for our most popular linear stepper motor.